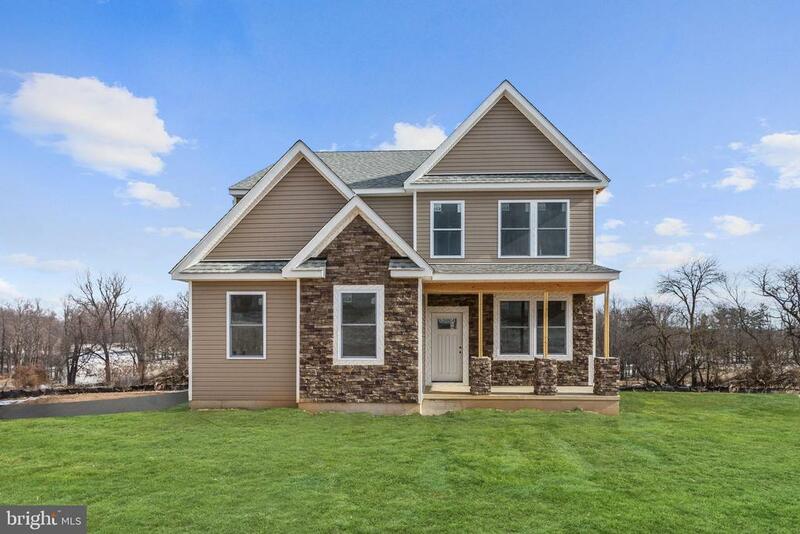 All Finksburg homes currently listed for sale in Finksburg as of 04/23/2019 are shown below. You can change the search criteria at any time by pressing the 'Change Search' button below. If you have any questions or you would like more information about any Finksburg homes for sale or other Finksburg real estate, please contact us and one of our knowledgeable Finksburg REALTORS® would be pleased to assist you. 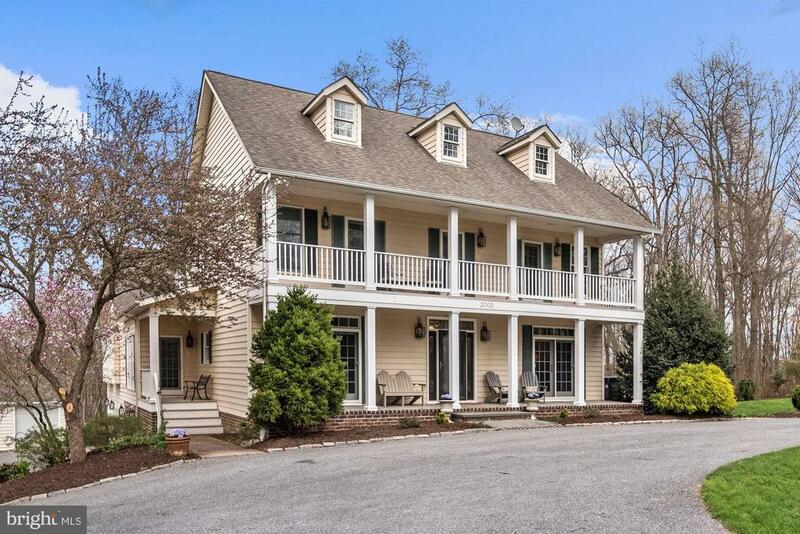 "Incredible Owner/User Opportunity on a Beautiful Property in Finksburg, MD w/Fine Craftsmanship! !Wonderful features: 12.5 acres of conservation, Barn, Over-sized garage & 12' ceilings w/2000 sq ft 2nd floor w/potential to finish. Well known locally and internationally, Carroll County Tack Business included w/sale: 36 year profitable business, never recorded a loss. Business and Property also available for sale separately. 4,000 sq ft building for retail store w/ 1/2 bath. Remodeled 2BR,1BA Farmhouse. Large stable 44~x100', 32~x34' barn in front field w/electric and hot water. Oversize garage 46~x31' w/12' ceilings can fit a large horse trailer, 3 garage doors w/more potential living space on the 2nd floor. Machinery and hay building 30~x30'. Run-in behind stable 24~x24'. In-ground pool (vinyl lined) w/ safety cover, pool house, new ~no climb~ fence. Large lighted riding ring. 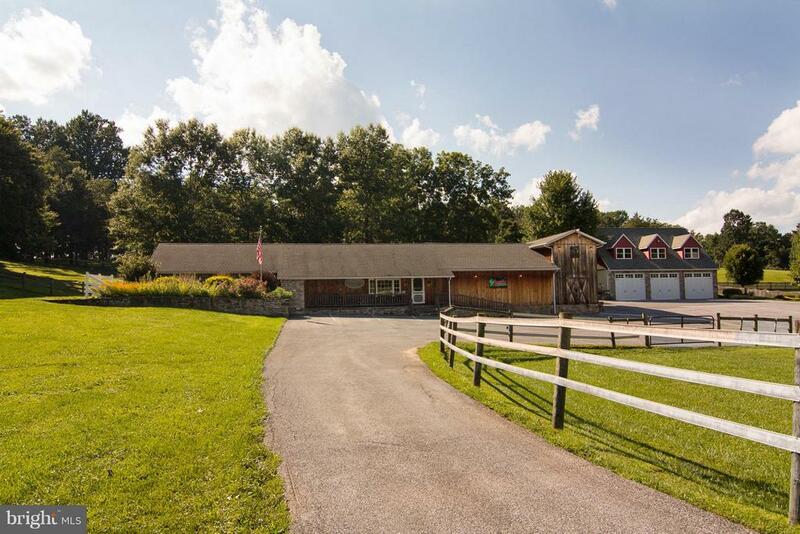 Equuspring: drain tile in the field that feeds into 2 springs.Sellers have thoroughly enjoyed this beautiful property and are ready for retirement.Rt 91 S, right on Old Gamber Rd, property on the right. Sits off the road"
"Custom built 4 Bedroom, 5 Bath home in the Low Country tradition both inside & out. 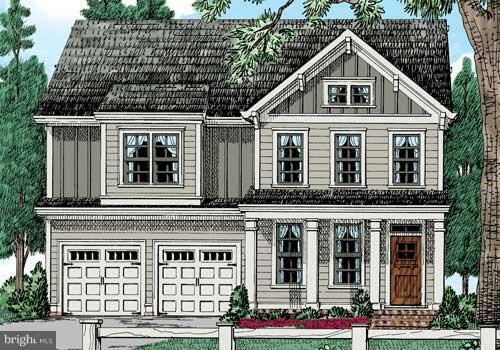 Welcoming wraparound front porch, 2-story Foyer, Study w/built-ins, formal Dining Room. Gourmet Kitchen w/granite, stainless steel appliances & large breakfast area flows to Family Room w/FP & built-in window seats w/bookcases. Sumptuous Master Suite includes FP & private deck. Lower level Recreation Room w/FP, bar, full Bath & Playroom. Patio w/FP, cook center, bar & seating walls. Attached & detached garages. Many custom finishes & design make this an incredibly livable home! Close to Westminster, Rt 140, Rt32 & I-795." 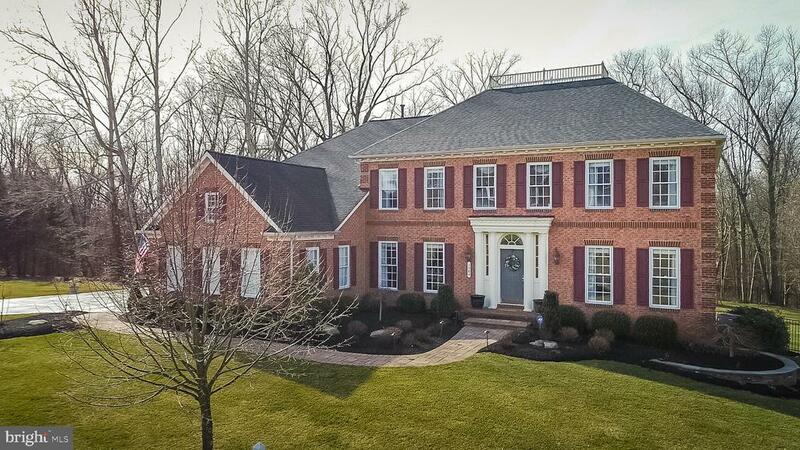 "Absolute dream home adorned with custom features and finishes, throughout! This home begs to entertain set on a private 2 acre setting + unrivaled exteriors including paver patio, TREX deck and play area! A gourmet kitchen features commercial grade stainless appliances, custom Timberlake cabinet, a brilliant sunroom accentuated by a domed cathedral ceilings off family room with a gas fireplace! Owner's suite boasts tray ceilings, 2 walk-in closets and luxe attached bath including a walk-in shower and custom tile, corner soaking tub, statement lighting and separate vanities! Additional bedrooms are spacious in size, each with attached bath; main level study flexes to optional 6th bedroom. Lower rec room shines with floor to ceiling built-ins, huge custom wet bar and wine tasting room/cellar for the ultimate entertainer! Ideal location set on a quiet enclave surrounded by forest adjacent to the reservoir. This home is ready to enjoy + impress!" "Perfect for hunting! This property has it all - hunting, wildlife, woods, open fields with rolling hills and a beautiful stream - country living at its finest. 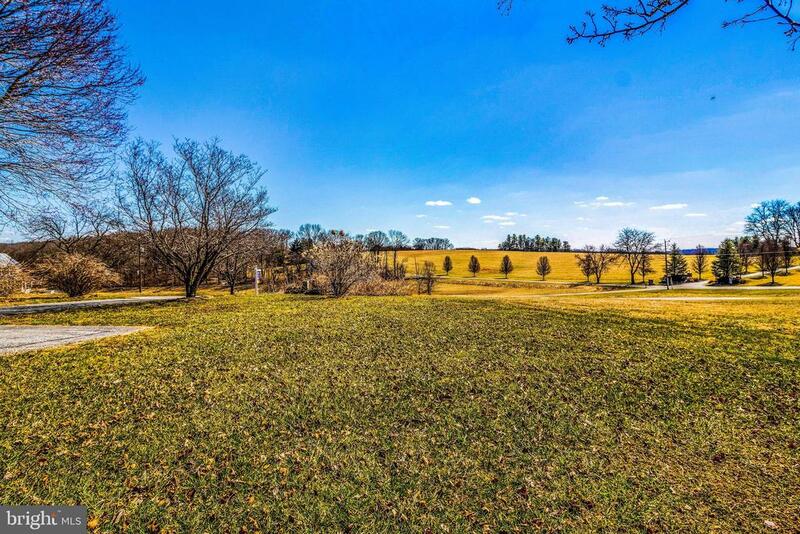 This 62 acre, picturesque property would make a great retreat for the person looking to escape the hustle and bustle of city life for some quiet time in the country. BONUS! The property also has preliminary approval to be subdivided into nine, 3-17 acres lots. So, not only is this property great for recreational hunting, but you could easily turn this amazing find into an income-generating property.~~This property would also make a great wedding and special events venue (it's a photographers dream). The property also includes a home built in 1900." 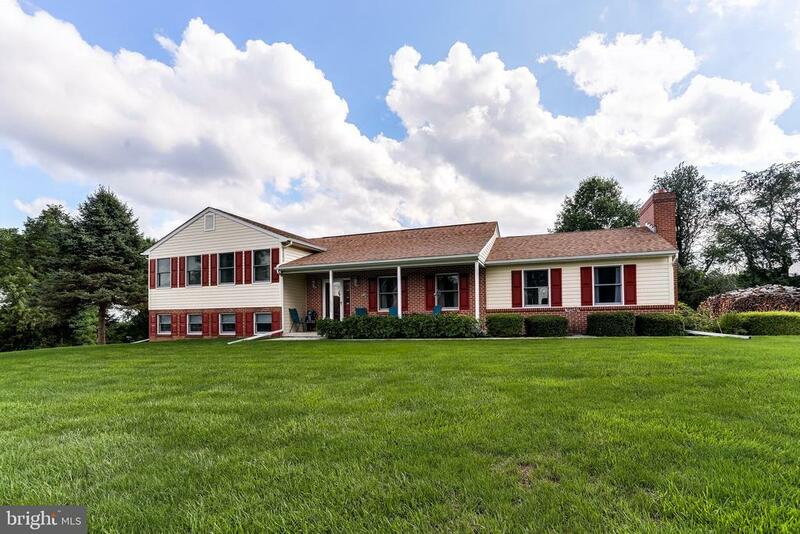 "Adjacent to County Preserve Boasting a Serene Atmosphere with a Pond, Walking Paths, Wild Life, and Beaver Run Stocked with Trout Annually, this Impeccable Colonial is Sure to Impress! Lofty Windows and Light Filled Interiors; Gleaming Hardwood Floors; French Doors, Transom Windows, Chair Railing, and Crown Molding; Family Room with Brick Profile Fireplace; Gourmet Kitchen Equipped with Stainless Steel Appliances, a Center Island, a Double Wall Oven, a Six Burner Cooktop, Ceramic Tile Counters, a Farmhouse Sink, a Prep Sink, Display Cabinetry, Under the Cabinet Lighting, and a Casual Dining Area; Main-Level Master Suite Adorned with Four Closets and a Private Full Bath Featuring a Glass Enclosed Shower with a Dual Shower Head and Rainfall Shower Head, and a Separate Soaking Tub; Upstairs Find Three Generously Sized Bedrooms, Another Bedroom with Vaulted Ceilings and an Attached Full Bath, and a Second Master Bedroom with an Extensive Walk-In Closet and a Private Full Bath with Dual Vanities, a Shower, and a Separate Soaking Tub; Downstairs Discover a Bonus Room, a Media Room, a Full Bath, and a Great Room Ideal for Entertainment and Leisure; Expansive 3-Car Attached Garage with a Workbench and Extra Storage; Large Detached Tractor Shed Matching the Home Providing Secure Storage with a Workbench, Windows, and Electric; Recent Updates: Washer, Dryer, High Capacity Hot Water Heater, Dish Washer, Garbage Disposal, High Capacity Heat Pumps and HVAC Units, Master Bath Shower, Recently Pumped Septic (Good for Three Years), Fresh Paint, Landscaping, and More! Exterior Features: Flagstone Covered Front Porch, No-Maintenance Non-Wood Front and Side Porch Columns, No-Maintenance Non-Wood Decking on Upper-Level Porch, No-Maintenance Non-Wood Decking on Side Porch, Brick Patio, Stone Fire Pit Patio, Stone Walkway, Deck, Stone Retaining Walls, Extensive Hardscape, Exterior Lighting, Secure Storage with Electric and a Workbench, Backs to Trees, Adjacent to County Preserve, Circula"
"Stunning colonial perched on 5.6 acres enveloped by mature trees and backing to Beaver Run! A quaint front porch welcomes you as you enter the light filled, 2 story foyer flanked by elegant formals. Relax and unwind in the sun drenched great room featuring two story windows with serene wooded views, cozy stone surround gas fireplace and private study with French doors. Spacious, open chef~s kitchen features Kitchen Aid stainless steel appliances, 42~ shaker style cabinets, granite counters, custom tile backsplash, center island with stylish pendant lighting, large walk in pantry and adjacent morning room with access to maintenance free deck. Ascend to upper level to find tranquil sleeping quarters including the expansive Owner~s suite boasting tray ceiling, sitting area with bright windows, oversized walk in closet and spa inspired bath featuring 2 person jetted tub, separate dual head shower and double vanity. Fully finished, walk out lower level with 9~ ceilings offers ideal spaces for recreation and entertainment with a newly refinsihed wet bar, as well as a guest retreat with large bedroom and full bathroom. Complete with three car garage and sprawling, fenced backyard with paver patio! Located in a planned community with plenty of privacy and minutes from commuter routes and everyday needs. Your search ends here!" "3 year old former model home boasting all of the bells and whistles! Gourmet kitchen with massive island, double wall ovens, walk-in pantry and study nook. First floor office/bedroom. Luxurious master bedroom with sitting area, tray ceiling, walk-in closet and spacious roman shower. Tons of space in the finished basement plus media room for screening movies and football viewing parties. All of this on a 1.1 acre lot with a large deck, patio, hot tub and fenced in area in the backyard for summer fun!" "This is where home and an oasis meet! Schedule your pool party/crab feast now! The rear yard is an entertainer~s dream. With an outdoor pool, deck, tiki bar, koi pond and spectacular landscaping your parties will be a step above the rest!Almost 6000 square feet of indoor living space. Boasting 4 spacious bedrooms, 3 full baths, 2 half baths, main level office and a basement that exceeds all of your entertaining dreams. Gorgeous upgraded chef's kitchen, expansive breakfast room, two story great room with a stone fireplace and tons of natural light and windows. Master bedroom ensuite bath, & a walk in closet you could literally move in!!! Spacious basement loaded with TV's and a bar, perfect for year round fun! Why not have game night here? This isn~t a must see, it~s a must have!!" 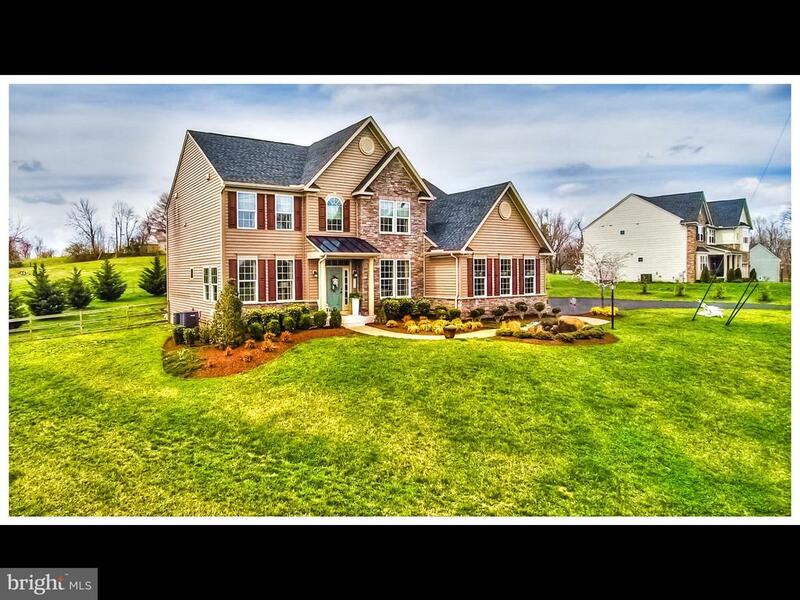 "PRIME LOCATION IN BEAUTIFUL CARROLL COUNTY OFFERS THIS PRESTIGIOUS HOME*5 BEDROOMS W/3 1/2 AUBURN MODEL HAS AN OPEN FLOWING FLOOR PLAN W/OVER 4100 SQ FT PLUS FINISHED LOWER LEVEL*GOURMET KITCHEN INCLUDES ALL APPLIANCES* FAMILY ROOM HAS AN OVERLOOK FROM THE 2ND STORY W/A STACKED STONE WOOD BURNING FIREPLACE* THE LOWER LEVEL IS FINISHED W/ADDITIONAL BEDROOM, FULL BATH & ENTERTAINMENT AREA* BUTLER STAIRCASE*SECURITY SYSTEM*CENTRAL VAC*JACK & JILL BATH ON 2ND FLOOR*(2) 200 AMP ELECTRIC*WATER SOFTENER SYSTEM IS OWNED*2 ACRES OF MANICURED GROUNDS IN THE SCENIC RIVER DOWNS GOLF COMMUNITY*ELITE GOLF COURSE AMONGST PICTURESQUE NATURAL AREAS*"
"To Be Built by Robin Ford Building & Remodeling. 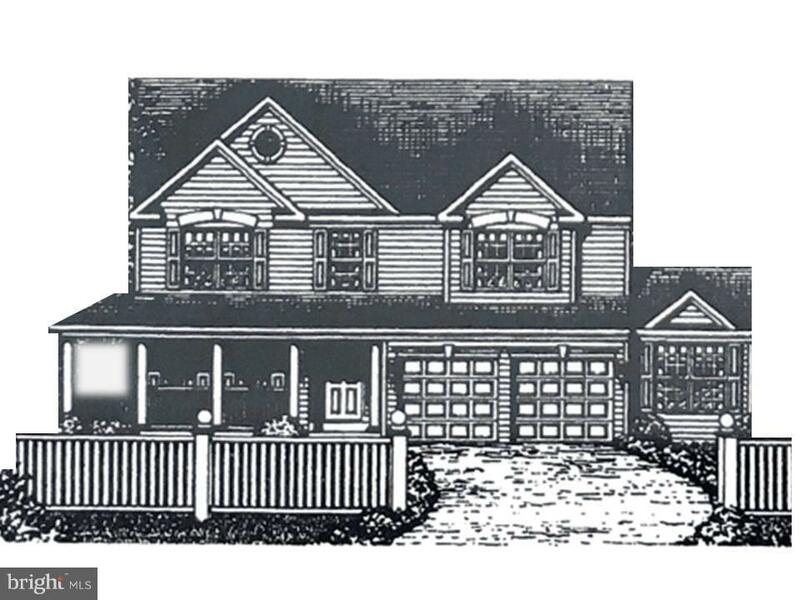 3/4 Bedroom with 2-1/2 baths, Great Room with gas fireplace, separate dining room. Hardwood floors throughout the main level, granite counters, kitchen island, stainless appliances, open concept, laundry on bedroom level, mudroom off garage. Beautiful 3 acre lot. All this and Energy Star Certified = low utility cost! 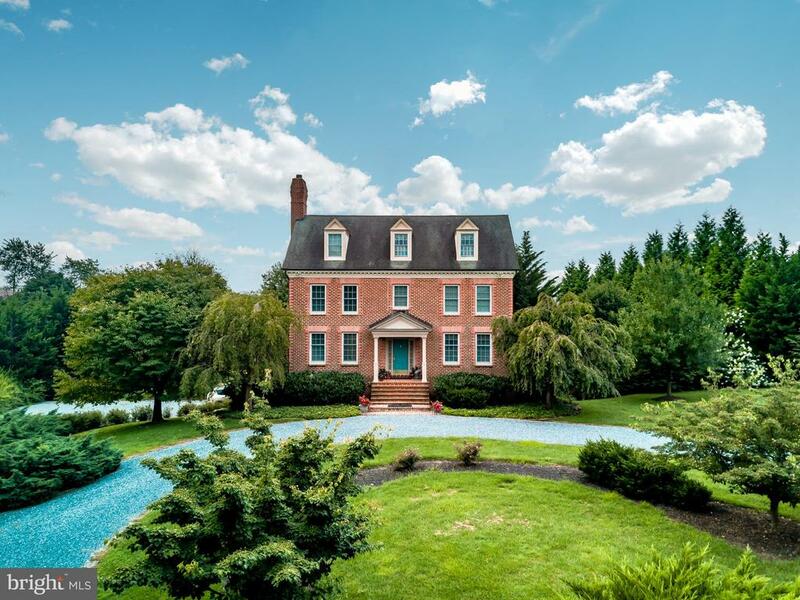 Carroll's Best Builder #"
"Pull up to this magnificent country home on a blue stone circular driveway and your attention will immediately be drawn to the elegant brick stairs and covered porch flanked by glass sidelights and period trim. This circa 1994 home~s all brick exterior boasts details often only found in homes from the early 19th century including grape vine mortar, quoined corners, sculpted brick chimney, architectural shingles, brick window headers and bricked arched English basement windows. Modern exterior amenities and upgrades include aluminum wrapped dormer windows, a garden shed, Andersen windows, a 40 x 12 partially roofed composite deck with cedar lattice, great for entertaining or for taking in the views of the rear 3-acre meadow overlooking a neighboring farm with fields to the horizon. Enjoy the extensive custom landscaping from season to season with many varieties of trees, shrubbery.----------A house to build lasting memories, this is a custom-built all brick Federal period inspired country home on 5+ acres. Meticulously maintained 4 story, 3 bedroom, 3.5 bath with fully finished English basement roughed in for future wet bar/kitchen potential in-law suite or 4th bedroom. The updated and freshly painted eat-in kitchen has 42 custom cherry cabinets, new floors, white Corian solid surface countertops, a Sub Zero refrigerator/freezer, large pantry, under cabinet lighting & sliding doors leading to the expansive deck and majestic views. ----------Double paneled privacy doors lead from the kitchen to the graciously styled dining room with inlaid hardwood floors, crown molding, a ceiling medallion, brass chandelier, and French doors leading to the two story foyer. On the left side of the foyer is a large family room with a brick-arched wood-burning fireplace spanning the width of the house from the foyer to another set of sliding doors leading to the large deck with plenty of room for a large family and guests to enjoy. ----------This well maintained and fully equipped"
"New Construction! The main entry and foyer welcomes you home and flows into a formal dining room. Prepare gourmet meals in the well-appointed kitchen featuring design inspired detailing, entertainer~s island, and ample counter space. Relax and unwind in the adjacent family room. Ascend upstairs to the wonderful master suite highlighting a sitting area and walk-in closet. The master en-suite bath features double vanities and separate tub and shower. Three sizable bedrooms and a full bath complete the upper level sleeping quarters. The lower level awaits your inspiration and is completed by a bathroom, storage area, and patio access. Do not miss your chance to own a piece of perfection! Floor plans shown are artist~s renderings and results and features may vary. Please call agent with any questions." "THE MONTANA by Elite Custom Home Builders. Home features open FL plan, hardwood floors & unique craftsmanship throughout. Gourmet Kitchen with SS Appliances Granite Counters, large Family Room, formal Dining Rm & Living Rm. Private Master w/ceramic Master Bath Rm. This 2.30 ac lot is part of 8 ac multi-parcel deed. Convenient to shopping, schools & recreation areas. Other plans & pricing available"
"THIS HUGE 4 LEVEL SPLIT WITH 4 CAR GARAGE IS NOW AVAILABLE IN FINKSBURG. 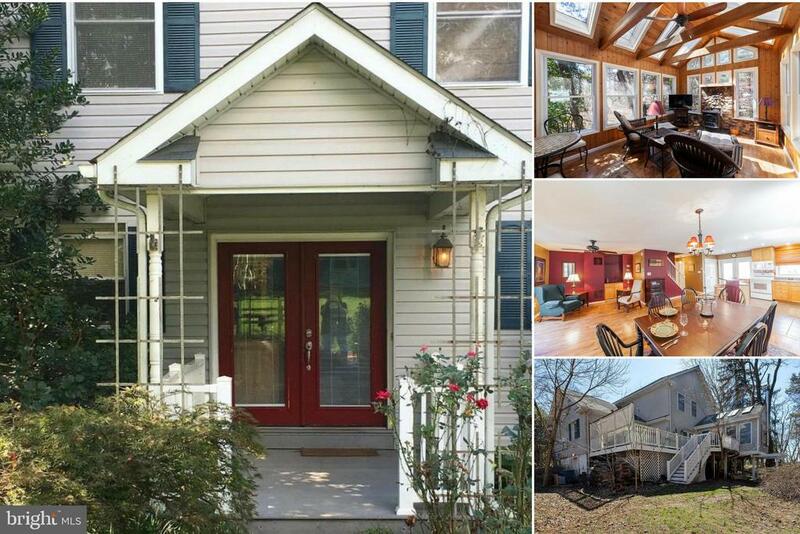 3 LARGE BEDROOMS, 3 FULL BATHS AND A SEPARATE POTENTIAL IN-LAW SUITE WILL SURELY PLEASE. HOME FEATURES STUNNING GOURMET KITCHEN WITH STAINLESS APPLIANCES, TWO FIREPLACES AND A DETACHED HEATED/COOLED 4 CAR GARAGE - PERFECT FOR THE CAR LOVER! ENJOY FRESH AIR IN THE FLAT AND WELL MAINTAINED YARD." 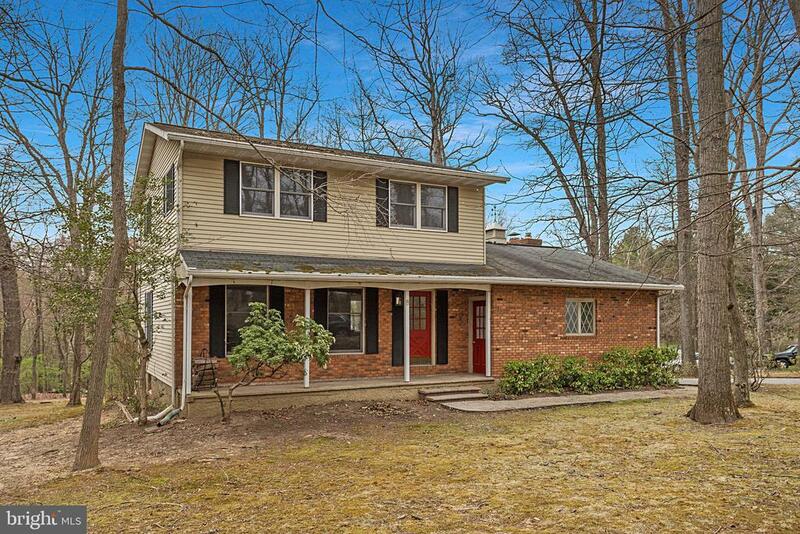 "**RARELY AVAILABLE** Beautifully Renovated 4BD/2.5BA Colonial in Carroll County Trails! Take delight in the many modern day features and designer finishes crafted to fit your lifestyle. A spacious main level with 2 sun drenched living/family rooms await to host your next gathering. Entertain in the New Chef's Gourmet Kitchen complete with pantry and breakfast bar. A spa-like master suite is ready to pamper you at the end of the day. Or enjoy nature in the park-like setting with over a half acre of mature trees, spring daffodils & lilies that are about to take full bloom! Lower Level makes the perfect game room, workshop and/or storage area. 2 Car Garage & More! Must See!" "Fantastic views near the Liberty reservoir. Hardwood floors, three full baths on quiet street. Large deck for entertaining, fireplace and wet bar in walk out basement." "MAKE THIS GREAT FAMILY HOME YOURS! 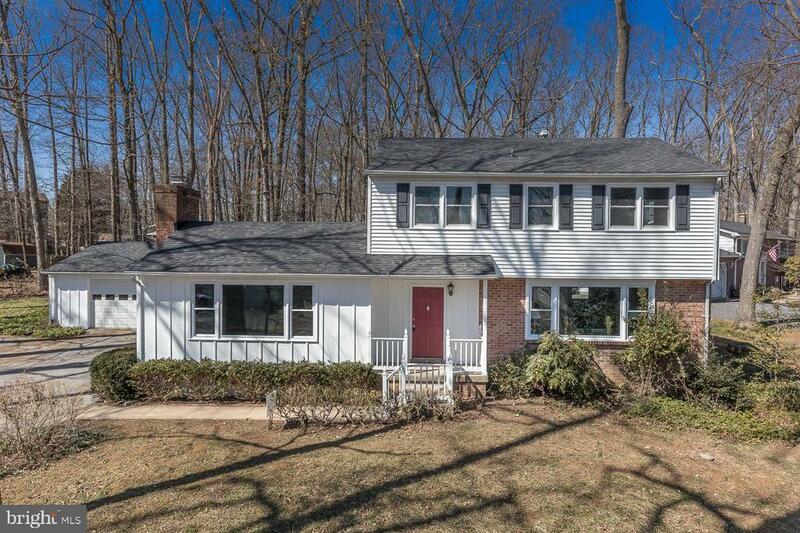 BEAUTIFULLY UPDATED COLONIAL BOASTING A SPACIOUS OPEN FLOOR PLAN LAYOUT AND A MODERN KITCHEN W/ SOLID MAPLE CABINETS & BRAND NEW WHIRLPOOL APPLIANCES. FLOODING W/ NATURAL LIGHT, THE LOVELY WESTERN RED CEDAR GREAT ROOM INCLUDES A WOOD STOVE AND OFFERS A VERY COZY AND RELAXING AMBIANCE YOU DON'T WANT TO LEAVE! HIGHLIGHTS INCLUDE A TIERED TREX DECK W/ HOT TUB BACKING UP TO A PRIVATE WOODED AREA & CREEK, 1ST FLOOR MASTER SUITE W/ LARGE WIC & EN SUITE PLUS FRENCH DOORS LEADING OUT TO THE ALFRESCO, GENEROUS BEDROOMS WITH NEW CARPETS, BRIGHT & AIRY INTERIOR, AND MORE!! EASY TO VIEW - CALL FOR DETAILS. $364,990 OR TRADE!" "One level living at it's finest! You will not be disappointed by this totally renovated 1600 sq ft rancher on a little over 1 acre in a highly desirable commuter location! WOW!" 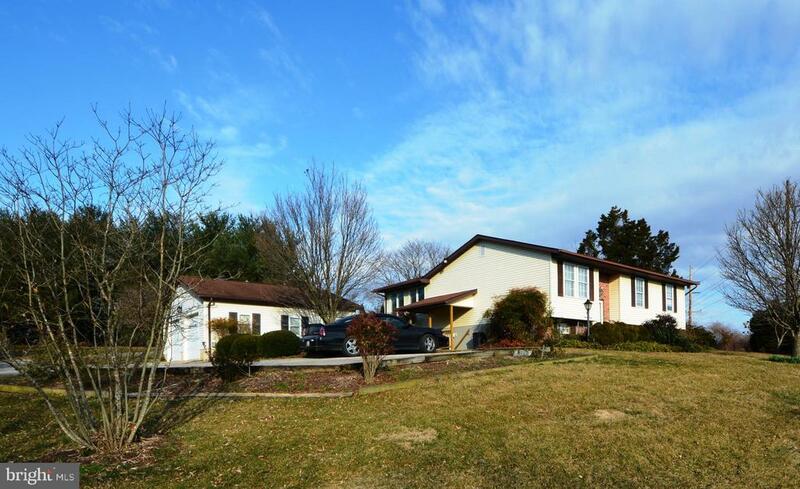 "Amazing home sitting on over an acre of property in peaceful Finksburg! 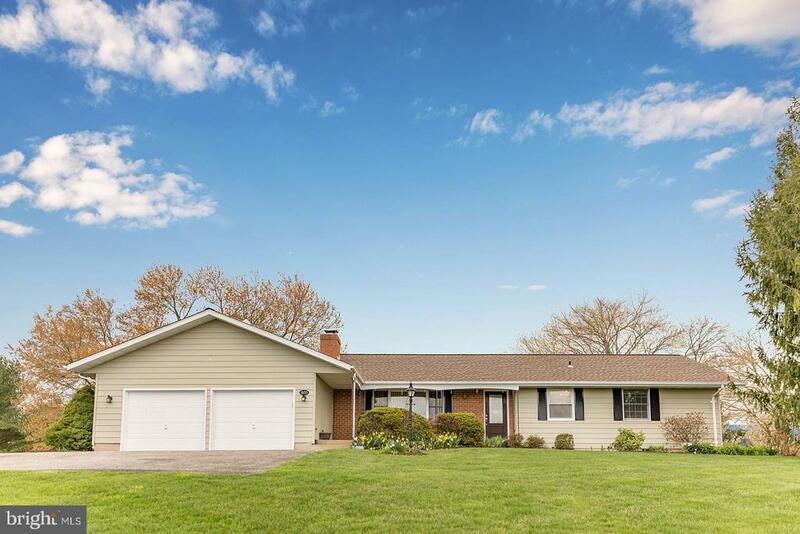 Beautiful rancher centrally located, near interstates, shopping, churches, and schools. Lots of room for a growing family and entertaining. Beautiful hardwood flooring, spacious rooms, lots of storage space, fresh interior paint, ready to move in!!! Master Bedroom with master bathroom and 2 additional oversized bedrooms. The spacious Family Room also opens to the formal dining room & features a cozy propane fireplace, The backyard is large and beautifully landscaped with mature fruit trees and bushes. Basement features a workout room and a generous area to finish for additional living space. Additional features include Double side mailbox ~ so you can access mail from the yard instead of the road; Horseshoe pits built in to an area in the back yard; Two large maple trees in the back yard have chains for swings; 15 by 27 raised beds vegetable garden; Berry garden with a raised strawberry bed this includes 4 large blueberry bushes, black raspberry, honey berry, Kiwi, and Gogi berry; the Small orchard includes 5 apple trees (honey crisp, pink lady, mutsu, staymen) and an Anjou pear, Bartlett pear, sour cherry, apricot, 2 peach, plum, and nectarine trees; Trellised grape vines; Living area already has surround sound wiring in the walls from the TV area to two corners; Double flue fireplace with gas log on 1st floor and covered flue in basement for an additional fireplace or wood burning stove; Half bath rough-in in basement; Every room has individual radiant heat system in ceiling with individual controllers for each room, in addition to the central heating system; Basement has one heat/AC vent and a 240V baseboard heater; Basement has a workout room with gym flooring and (2) 240V baseboard heaters; Multiple shelfing in basement and garage; Oversized two car garage; Security light over side entrance to garage; California tub in the main bathroom, this is larger than the standard tub. Also has ha"
"Meticulously kept 3 bedroom 1.5 bathroom home that is move-in ready. Granite counters in kitchen brand new heat pump. Beautifully finished lower level with bonus room below. 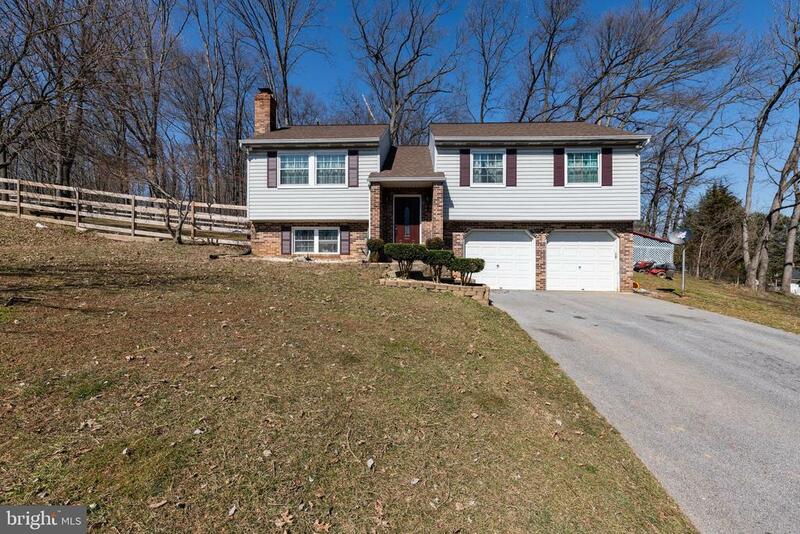 Convenient to I-795." "Welcome Home!! 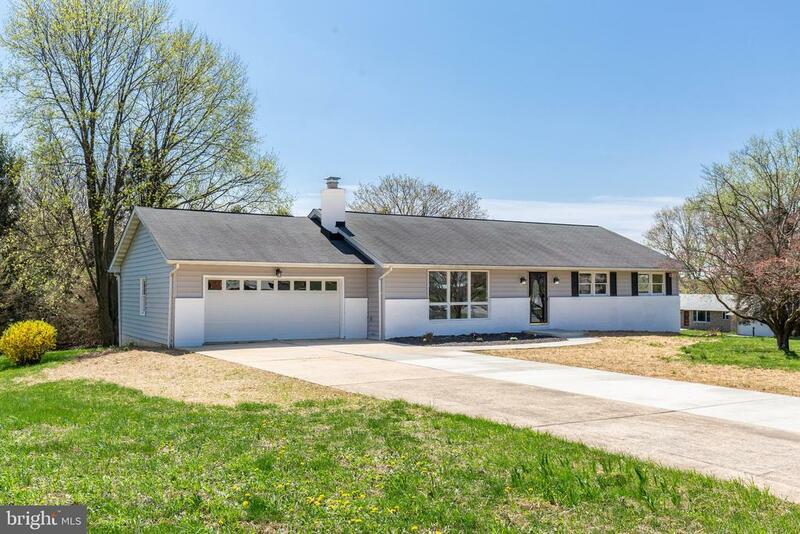 Spacious 3 BR 2 Ba Split Foyer featuring eat-in Kit w/corian countertops, pantry, formal DR, 26 x 20 Fam Rm w/FP (wdstv insert-as is),MBR w/full Ba, 21 x 15 deckw/steps, patio *New arch. roof (3/4 sheathing) 2012*well pump 2017*water neutralizer 2013*Beautiful engineered wd flrs in LR, DR, hallway & 2 BRs*1488 sq ft upper lvl*Util Rm/Stg Rm 26x25 11x6*Beautifulgardens w/perennials*NO HOA*Convenient to 795*"
"RECENTLY RENOVATED 3BD 2.5BA TWO CAR GARAGE SPLIT FOYER ON 1.12 ACRES. LAMINATE FLOORING THROUGHOUT FIRST FLOOR AND CARPET ON LOWER LEVEL. RECESSED LIGHTING IN KITCHEN, LIVING ROOM, DINING ROOM AND MASTER BEDROOM. CHAIR RAIL IN LIVING ROOM AND DINING ROOM. BEAUTIFUL TILE IN TWO FULL BATHS. BRICK FIREPLACE WITH WOOD BURNING STOVE IN FAMILY ROOM AND A UNIQUE CUSTOM DESIGNED CLOSED-IN VENTILATED AREA FOR PETS. FULLY FENCED YARD WITH STORAGE SHED AND MAINTENANCE FREE COMPOSITE DECK OFF OF DINING ROOM. MUST SEE THIS IMMACULATE HOME! INCLUDES A SIX YEAR HOME WARRANTY." "Welcome Home! 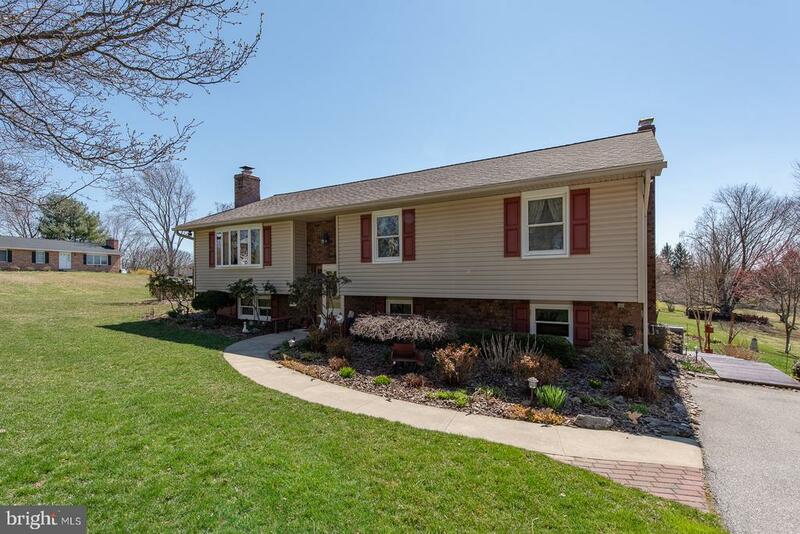 Don't miss this charming 3 bedroom situated on a premium, wooded corner lot in the sought after Pheasant Run neighborhood. Walk in and you discover gorgeous wood flooring throughout. The remodeled kitchen includes designer cabinetry, granite counters, stainless appliances, and a tile backsplash. The family room sports a large brick fireplace and custom built-in cabinetry. All bathrooms are tastefully renovated and bedrooms are spacious. 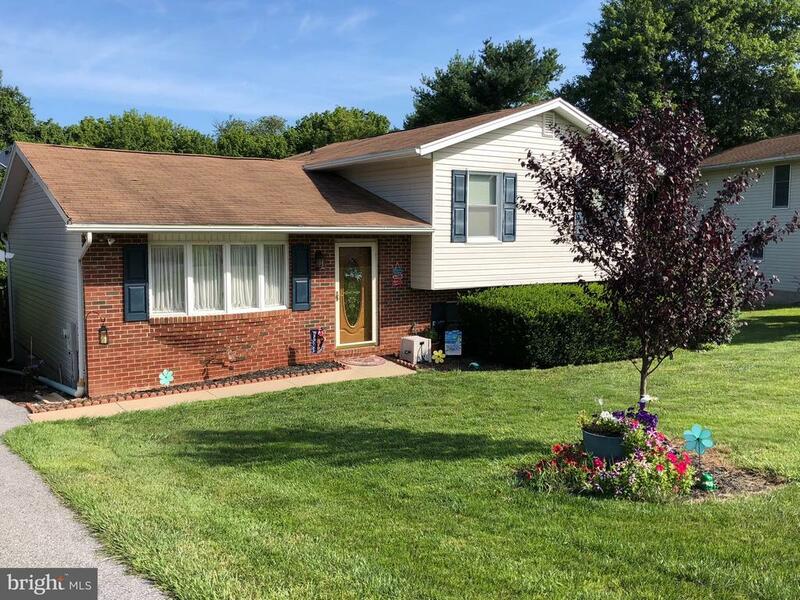 You'll love swinging on the full-size front porch and enjoy your spacious back yard with multiple decks perfect for cookouts and a gathering around a fire pit. There is ample storage inside as well as a large back yard shed. As for location, you can't beat it! It's just a short walk to the Finksburg Library, Sandymount Park (with playground, walk-paths, sport courts, and pavilions), and elementary School. A short drive will take you to malls with all of the stores and restaurants you'll need. Brand New HVAC!" "Main level Sun rm/ Family room addition 20 x 14 built 2002. Detached 24 x 26 Garage built 2001. Near Sandymount Park. Home offers two laundry areas & two kitchens. Perfect for in-law set up. Electric Guardian Generator hardwired backup fueled by two propane tanks. Paved driveway to a higher elevation than Rt.140 so don't assume traffic noise. Security system:) Three exterior sheds & tall chain link fence dog run. Landscaped very nice. Clean well kept home just needs some updating if you desire a fashion flare. Can settle in 30 days or less! Priced to sell."